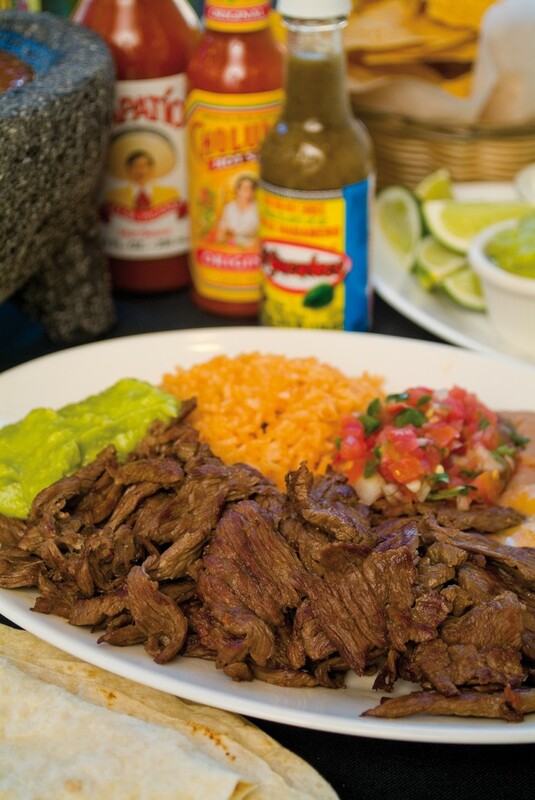 USDA choice steak, grilled to perfection then served with rice, beans, guacamole, Pico de Gallo and your choice of flour or corn tortillas. 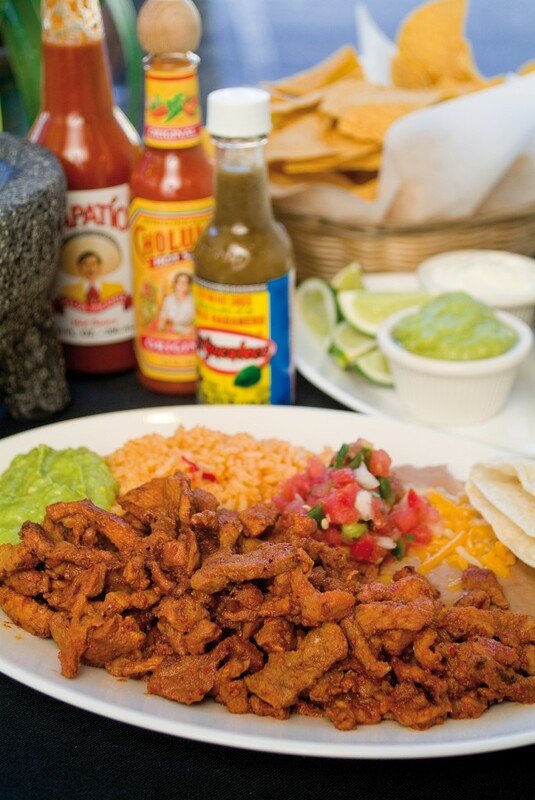 (Marinated Pork in Spices): Tender strips of pork marinated in our “red” homemade sauce. 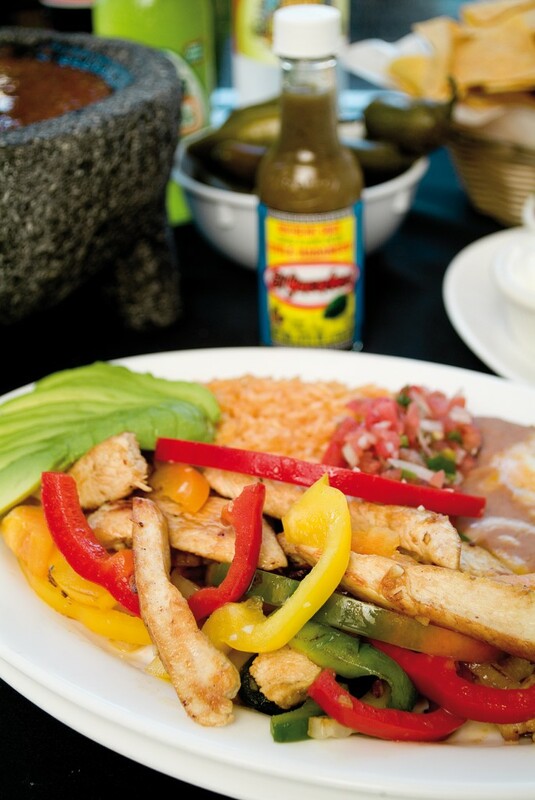 Served with rice, beans, guacamole, pico de gallo and your choice of flour or corn tortillas. 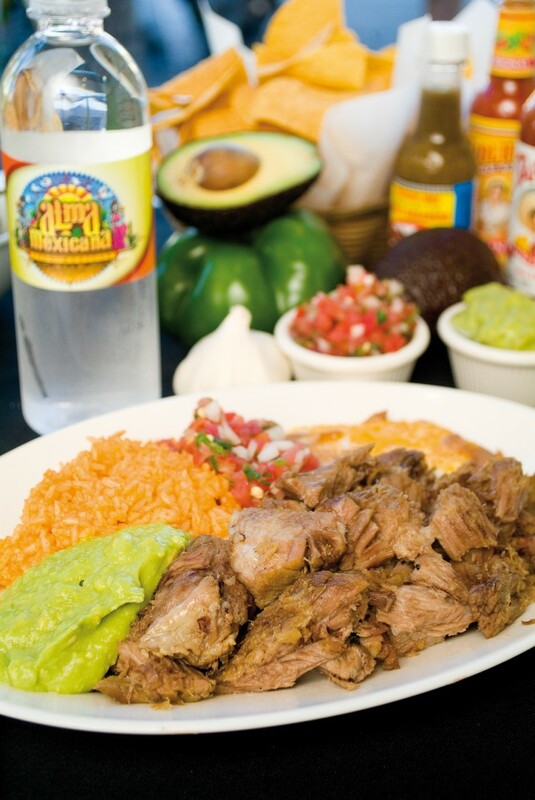 Braised pork served with rice, beans, guacamole, pico de gallo and your choice of flour or corn tortillas. 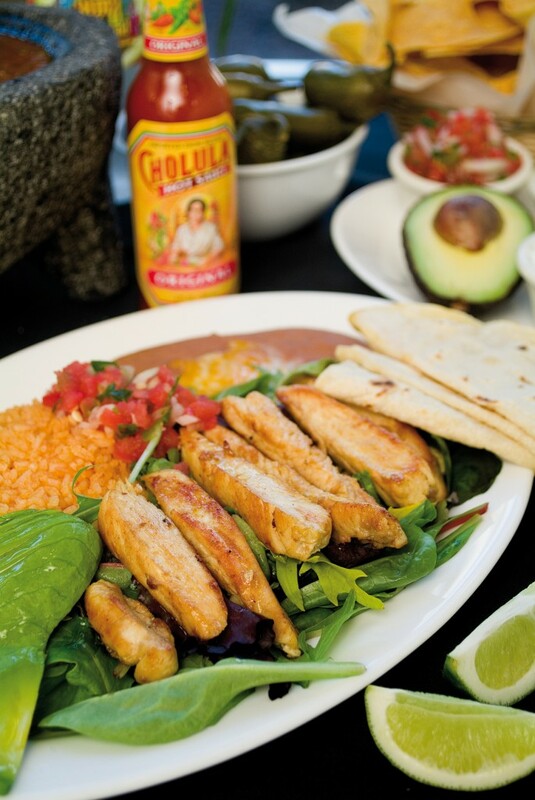 Grilled chicken breast that sits on top of fresh spring mix, rice, beans, sliced avocado, pico de gallo and your choice of flour or corn tortillas. 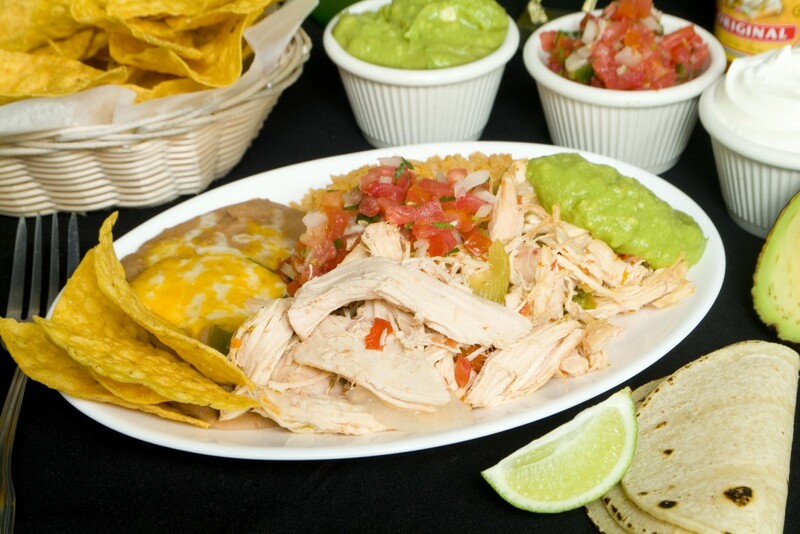 Pulled chicken breast in tomatoe sauce served with beans, rice, guacamole, Pico de Gallo and your choice of flour or corn tortillas. 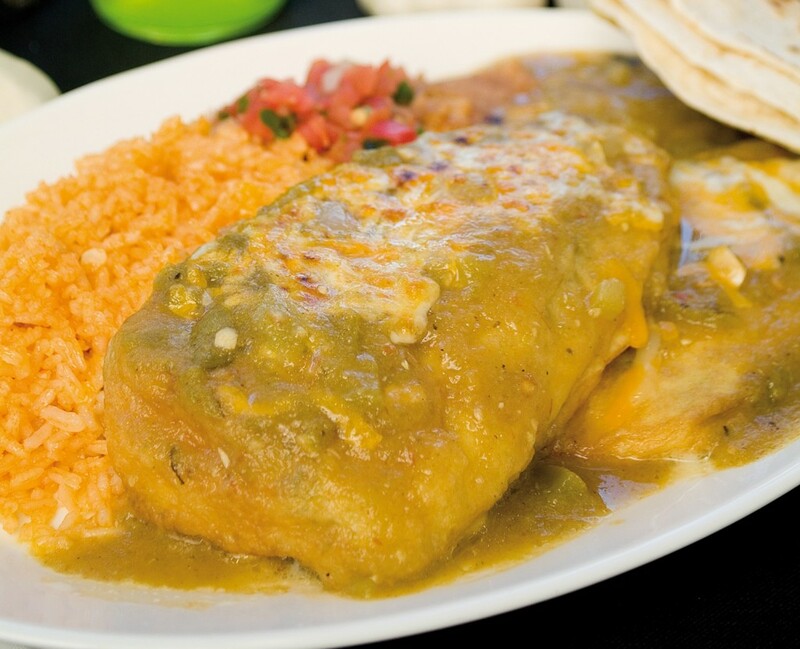 Two roasted fresh Poblano peppers stuffed with melting cheese; covered in an egg batter and served with homemade green sauce, served with rice, beans, pico de Gallo and your choice of flour or corn tortillas. 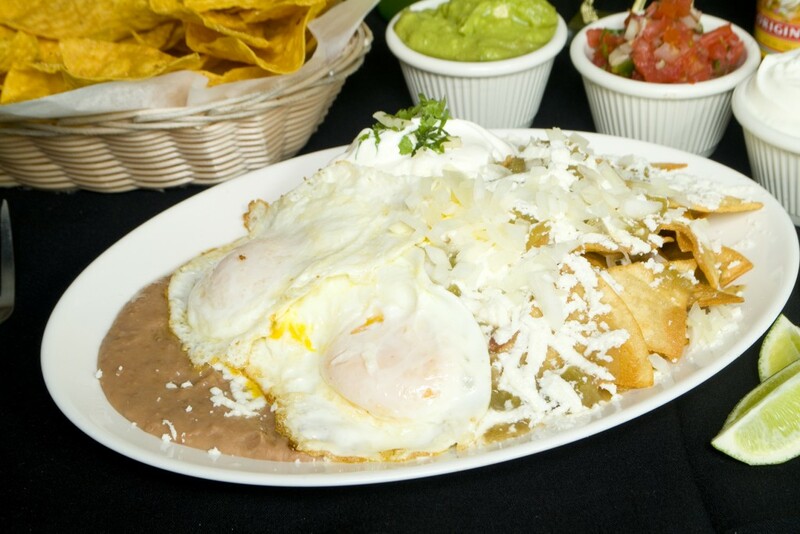 Fried corn tortilla pieces smothered in green or red salsa, and sprinkled with cheese, onions, sour cream, beans on side and your choice of fried or scrambled eggs. 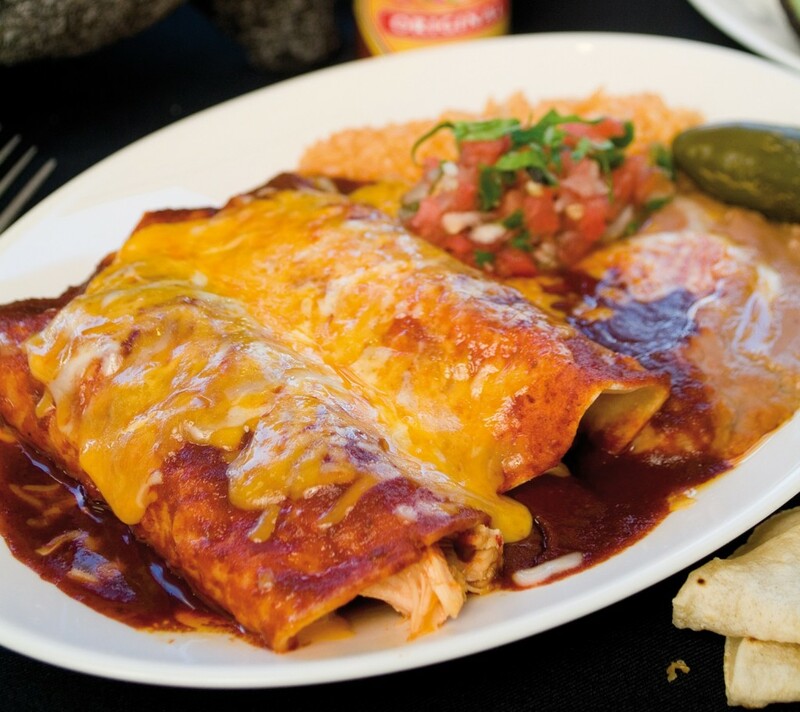 Flour tortilla rolled around with beans and your choice seasoned filling (steak, Chicken, Carnitas, Pastor ) served with rice, beans, Pico de Gallo. Chicken or steak, grilled with onions and bell peppers. 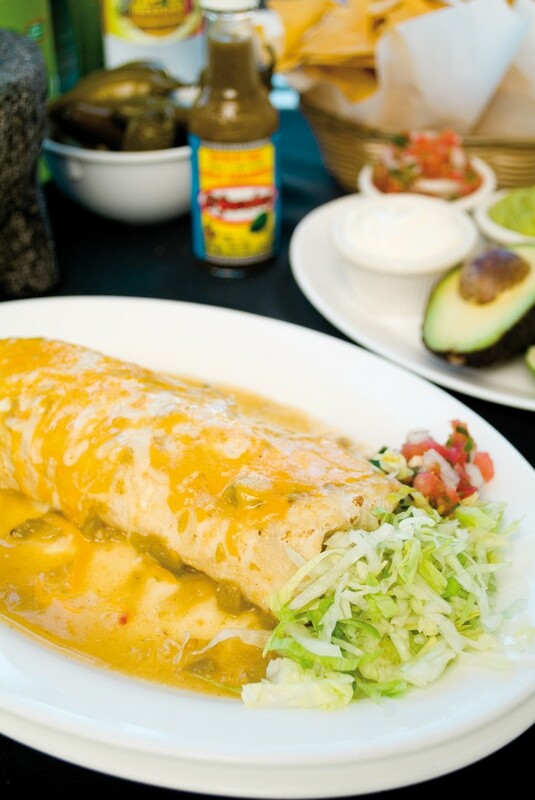 Served with rice, refried beans, guacamole, and pico de gallo, your choice of corn or flour tortillas.